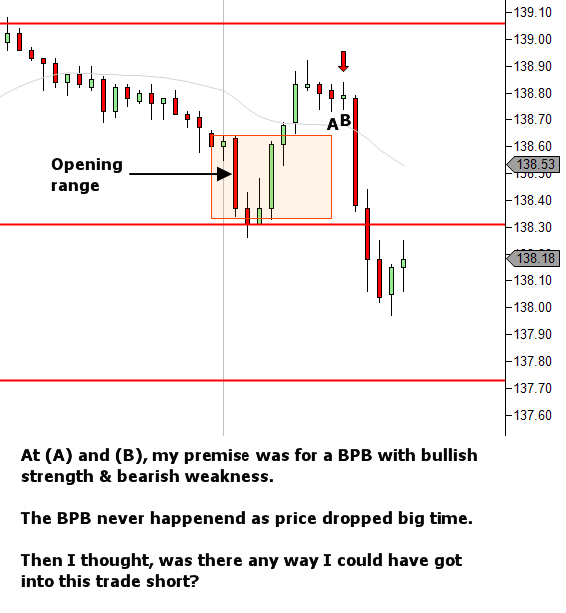 What I particularly love about this is the fact that he's used his post-session review to actively examine the price action to see if there is some way that he could have (or should have) seen the entry short. Your thinking is all valid for the lower timeframe data and this is exactly how you need to be thinking while conducting bar-by-bar analysis. 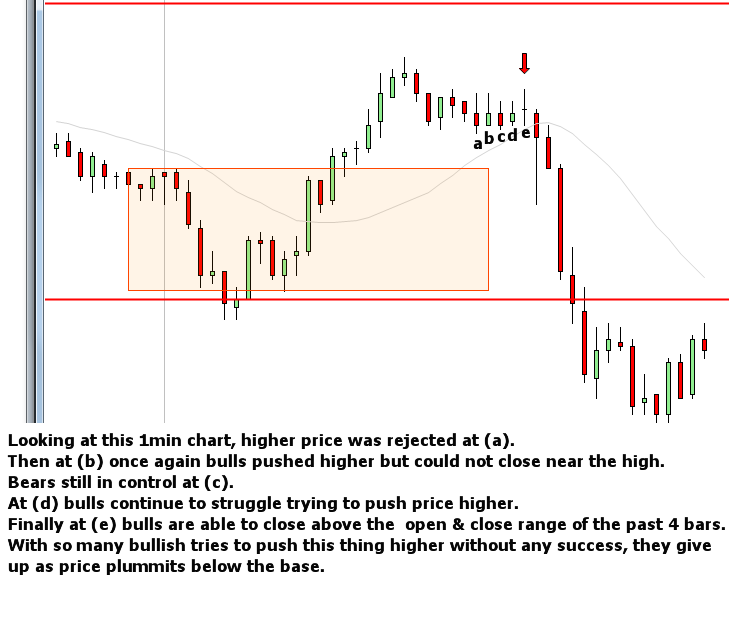 Your bias was long, but you need to see price confirming it. In this case it wasn't confirming. There were several attempts to push higher, all failing. Had bar "f" broken higher (forming a spring) then it may well have still provided an entry long. But really, your analysis of "a" to "e" was indicating insufficient buying pressure. As a result, it was likely to collapse on a break below this region. It would have been a great short. This is part of learning to do bar-by-bar analysis. Always questioning how you could have done your analysis better. Initially it comes with hindsight. In time, it comes live at the right hand edge. Are you following a similar process for your session reviews?